Xebios manufactures high-quality ready to use culture media for microbiological diagnostics. We are dedicated to be your system partner in securing the quality of your laboratory services. As your system partner we do not only reliably provide you with your ready to use culture media, we also offer support for your internal quality control system and help you to sustainably reduce your cost for quality control. We make sure that all necessary materials are provided at all times to secure smooth processes at your laboratory. We have 25 years of experience with diagnostics work in the microbiological laboratory and therefore know the requirements and daily challenges of our customers by heart. We understand your needs and know how important a good supplier for diagnostics culture media is for your work. This is why we can provide you more comfort supplying your ready to use culture media and contribute to your success. Xebios is certified according to ISO 9001 and ISO 13485. We comply with all requirements of ISO 11133 (as well as ISO 13485 and Ph. Eur.) for manufacturing, storing, quality control and performance testing of ready to use culture media. The microbiological quality testing of our ready to use culture media is carried out by our laboratory that is accredited by DAkkS according to ISO/IEC 17025 for testing of diagnostic culture media according to ISO 11133 (registration number of certificate: D-PL-17997-01-00). We test the membrane filter that you are currently using in your laboratory in combination with our culture media – You receive an individual combination certificate according to ISO 11133 sec. 7.3 and ISO 7704 containing your membrane filter’s and our culture media’s batch number. We have our own supply logistics in house and we will deliver your products in our own refrigerated trucks. As we control the whole supply-chain, we are able to consistently document the storage and temperature conditions during the transport. You will receive a quality certificate which confirms that all storage conditions were kept so that no additional transport validation is required (ISO 11133 sec. 6.4.2). Our Xebios-App enables you to monitor and manage your stock, consumption and demand for ready to use diagnostic culture media. You have an easy way to keep the overview about your inventory levels and will be reminded in time if critical materials run short. I you want the system will suggest new orders with optimal amounts at the optimal time. We offer the highest flexibility for individual products and service solutions, also in small batch sizes – Please get into contact with us: We are pleased to develop customized solutions for your laboratory in cooperation with you. If required, our laboratory will perform the testing of our ready to use media in cooperation with your staff and according to your internal methods. We visit you periodically with our own trucks and will help you to carry your delivery directly to your warehouse if required. We use reusable boxes. This simplifies the handling of your ready to use media in the laboratory and significantly reduces packaging material and waste. We comply with all requirements of ISO 11133, ISO 13485 and Ph. Eur. to the manufacturing, quality control and performance testing of our ready to use diagnostic culture media. You benefit, as work-intensive quality testing of incoming media is no longer necessary, remaining at a constant quality-level. We offer individual reservations for whole batches according to your requirements and to your demands. Your cost for quality controls will be reduced because a new delivery of media does not necessarily lead to a new batch. We consistently control the storing conditions of our ready to use media from the manufacturing until the delivery to your laboratory. You save additional transport validation and documentation. We test the combinations of your ready to use media and the membrane filters that are used in your laboraroty according to ISO 11133 and ISO 7704. You will receive individual quality control certificates. You receive a product which is individually tested and certified for you and that is based on your individual needs. Our Xebios-App guarantees a clear presentation of your inventory, consumptions, stock and demands for your diagnostic culture media. We archive and adminstrate all quality certificates (product, filter, transport) for you, to significantly reduce paper work in your laboratory. Universal nutrient medium for the cultivation and enumeration of moulds, yeasts and dermatophytes. For the selective isolation and cultivation of Salmonella in meat, meat products, and other foodstuffs. For the detection and enumeration bile-tolerant Gram Negative bacteria. The product you are looking for is not listed? Please contact us at any time. We are expanding our product portfolio continiously and would be happy to inform you about the latest news. Furthermore we can make your individual product to your demands on request. Our service team will be happy to help you with all questions. Optimize the inventory management at your laboratory. Just scan the QR-code,see your current stock and recent consumption and request additional demands.The direct link between our mobile-app and the online administration brings transparancy to your inventory management and ensures the constant availablility of critical materials. We offer an active support for your inventory management and provide you with our order proposal service. This way you benefit from our system by reducing your stock and lowering your costs. We provide you and your staff with useful product information and working aids available for every smartphone or tablet-pc-just scan the QR-code. You can instantly see information of the microbiological quality control of the media i.e. the productivity rates or the colony morphology. Additionally, we show you images of real growth scenarios and corresponding explanations which help your staff in their diagnostical work. This way your team is continuously trained using modern information technology. We support you in administrating and archiving your quality control certificates for your diagnostic culture media. Quality control certificates are available for you on demand in our Xebios-App. Just scan* the QR-code and view your certificates. Additionally, we can send them to you via email. All certificates of your ordered products are also archived in your personal log-in area and are easy to download. Our Xebios-App* is an integral component of our service concept: All of our products are marked with QR-Codes. Scan the code and benefit from many useful functions that will facilitate your work at the laboratory and will reduce your cost. The Xebios-App enables easy and clear administration and provision of quality control certificates. Furthermore, it simplifies the supervision and control of your inventories and provides you with working aids. Our App is available for all smartphones and/or tablet-PCs* - just download it and get started. *Xebios-App is currently available for iOS (Apple) und Android operating systems and is only accessible for registered Xebios customers. Please contact us for your personal account and sign-in data. At Xebios we personally guarantee for the quality and the reliability of our products and services. Our procedures to manufacture, store and the performance of the quality control of our products comply with all requirements of ISO 11133 and follow the "Good Manfacturing Practice (GMP)". We measure our success by meeting the high-quality demands of our customers at all times. Our quality control system is certified according to ISO 9001 and ISO 13485. Our products are manufactured in compliance with Directive 98/79/EG on In-Vitro-Diagnostics. The microbiological quality testing of our ready to use culture media is carried out by our laboratory that is accredited by DAkkS according to ISO/IEC 17025 for the testing of diagnostic culture media according to ISO 11133 (registration number of certificate: D-PL-17997-01-00). 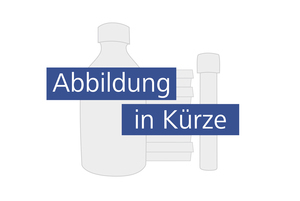 Our laboratory is also certified according to GMP by the administrative council (Regierungspräsidium) of Düsseldorf. Our quality control procedures contain extensive testing of the sterility, the microbiological performance and the physical condition of our products. Xebios-Ready-Prepared-Culture-Media is manufactured in our clean room (GMP-Class B; corresponds to ISO-Class 5) or end-autoclaved in the vial/bottles. Our suppliers for our raw-and input materials, technical equipment and machinery are reliable and established partners with long-proven quality. We are available at all times to answer your questions about our products or services and to prepare an individual offer for you. Please contact us using the contact data mentioned below or via our contact form.